If you are looking for a complete vintage amplifier restoration then look no further than Larry Rodgers of Rodgers Amplifiers in Naples, Florida. His amplifer custom shop can transform your age worn or badly modified amplifier into a sonic and aesthetic thing of beauty. Larry’s extensive knowledge of amplifer circuits, cabinetry and years of experience goes into each and every project for his customers. In this Spotlight interview Larry talks about his background, cabinetry and some of his other services like grill cloth aging. 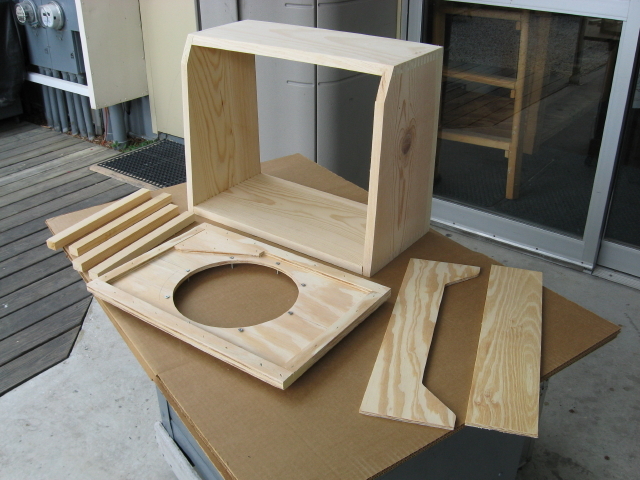 He also explains what a floatng baffle is and how different materials affect the performance of a speaker cabinet. High quality and old world craftmanship is what Rodgers is all about. 300guitars: Hi there Larry please tell us about yourself. Where were you born and raised and how you got into music and guitar playing? Larry Rodgers: I grew up in a small town near Birmingham, Alabama. My father and sister both played piano and I would listen to them but could never get the hang of it. Then came the Beatles and I was in the Sears catalog looking at guitars. I ordered an arched top acoustic with f holes. 300guitars: What was your first “real” guitar and amp? Larry Rodgers: The first guitar and amp I owned was a Telecaster and Super Reverb. My mother financed them at Forbes Music in Birmingham. I played dance halls to help pay the payments. It was very common to finance musical instruments in those days. 300guitars: What kind of music do you like to listen to? Who are some of your favorite players? Larry Rodgers: I listen to Blues and Rock and roll. I like Eric Clapton, Ry Cooder, Delbert McClinton, Pete Anderson and Albert King. 300guitars: When did you first begin to tinker with guitars and amps? Larry Rodgers: I remember taking the Telecaster and Super Reverb apart just for fun, then putting them back together. I decided to build an extension cabinet for our bass player in Vo-Ag class and it came out pretty nice. The only short coming was the Radio Shack speakers. After that project, I refinished our bass players Fender Jazz bass. That project really taught me a lesson. 300guitars: Were you always in this business or did you have another career? What inspired you to start Rodgers Amplifiers? Larry Rodgers: I began working in the plumbing and electrical business in Alabama in 1970 and continued when I moved to Florida in 1978. I soon thereafter formed my own plumbing company and operated it until 1993 when I went into the amplifier business. I began working with electronics and building cabinets because finding a good working Fender was difficult. 300guitars: When did you start Rodgers Amps? Larry Rodgers: Rodgers Amps just happened. After I purchased and rebuilt an old Super Reverb, it seemed everyone had a tube Fender they wanted me to get working. This was in 1993. 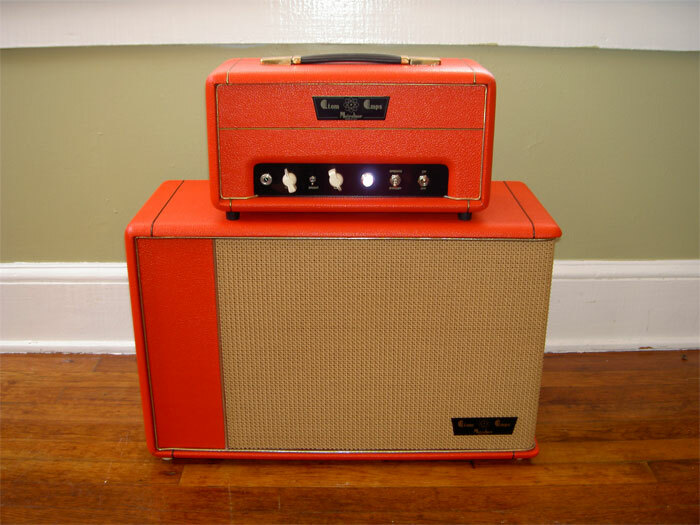 300guitars: You are best known for your reproduction guitar amp cabinets. What other services do you offer? Larry Rodgers: I build custom cabinets for some amp builders, provide complete ground-up amp restorations and offer electronic service for Fender and Marshall amps. I rewire many reissue amps and put them back to original specs. I also build to order complete tweed style amps. 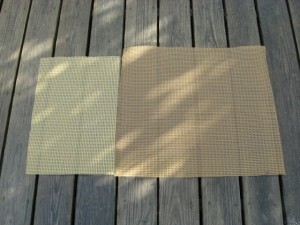 Another thing I do involves tinting grill cloth to look old and relicing tweed for a vintage look. I also do some guitar repair work locally. 300guitars: What are some of your favorite guitars and amps? Larry Rodgers: My favorite guitar is the Telecaster. I built 2 that I use around the shop and play out. One has 3 Fralin Blues special pickups. The other guitar is fitted with Joe Barden pickups. Both are under 7 lbs and finished in lacquer. 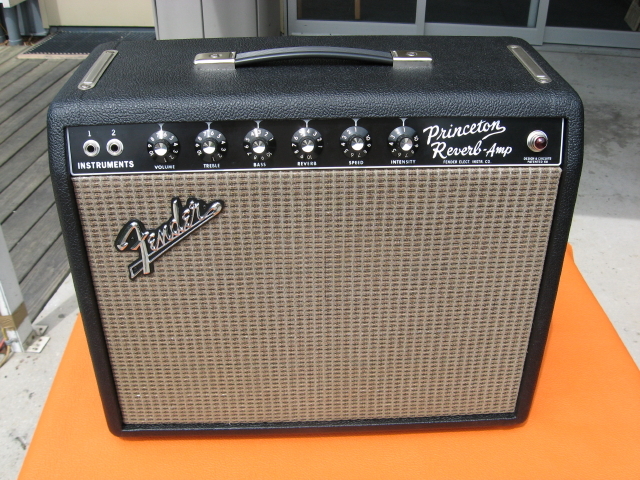 As far as amps go, I like Princeton Reverbs with a 12″ speaker. In my personal amp I have a Celestion 1970’s Blackback 39-H Weber recone. I use one for small gigs that sounds great. I also like a 40 watt 2 x12″amp I built that is much like a Bluesbreaker. I have it set up with 1969 Vox silver Buldog speakers and 5881 Tungsol Power tubes with 3 Amperex preamp tubes. 300guitars: Which amps are easiest and by contrast hardest to work on? Larry Rodgers: I find that most Fender amps are rather simple and easy to repair or service. On the other hand, Vox amps can take a lot of time to perform the same tasks. 300guitars: How long does it take to build a single amp cabinet? Larry Rodgers: Most cabinets build out in 6 hours, a complete amplifier can take as long as 40 hours from start to finish. 300guitars: What is the best type of wood (performance/tone wise) for building cabinets? Larry Rodgers: Fender style cabinets are best constructed from #2 pine. The baffle, often overlooked, is best made of pine. Pine gives a round, warm tone with nice punch. 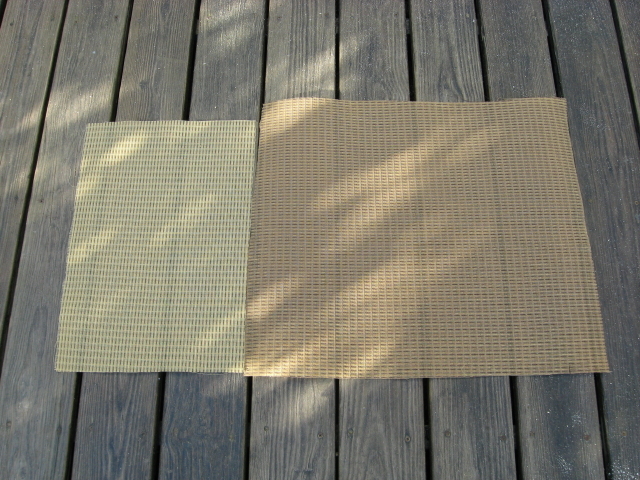 Birch is stable and mills well but seems to have a harder edge. 300guitars: Does joinery make a difference (finger joint vs rabbet joint vs dovetail joint)? 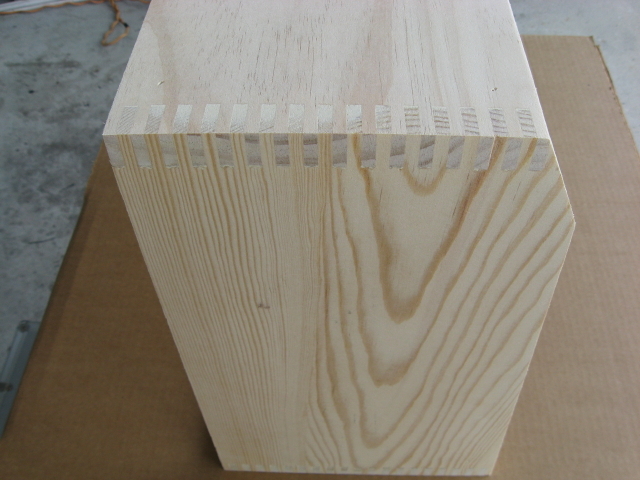 Larry Rodgers: The 1/4″ box joint (AKA) fingerjoint, seems to me to be the strongest due to the area of wood being glued. It is a proven joint used on all vintage Fender and Marshall amps. Dovetail joints are very nice looking and are great on hardwood cabinets. Both are quite strong and provide superior resonation. Box Joints aka Finger Joints. 300guitars: Can you describe the tone differences between pine, plywood and exotic hardwoods? Larry Rodgers: As mentioned above, pine is round, smooth and warm. Plywood will produce a bit harder tone and your hardwoods will give you a tight low end and a harder overall tone. 300guitars: What is the best baffle material and best baffle thickness? How does the material and thickness affect performance? Larry Rodgers: That is a great question. The baffle seems to be the most overlooked part of the amp and is a key element of the amps performance. When I build open back combo cabinets I use 1/2″ B.C. pine for a tight clean sound that is smooth and fluid. If I am looking for a more open and loose sound I choose 11/32″ or 1/4″ B.C. pine. The thin plywood tends to give more bass and is louder. 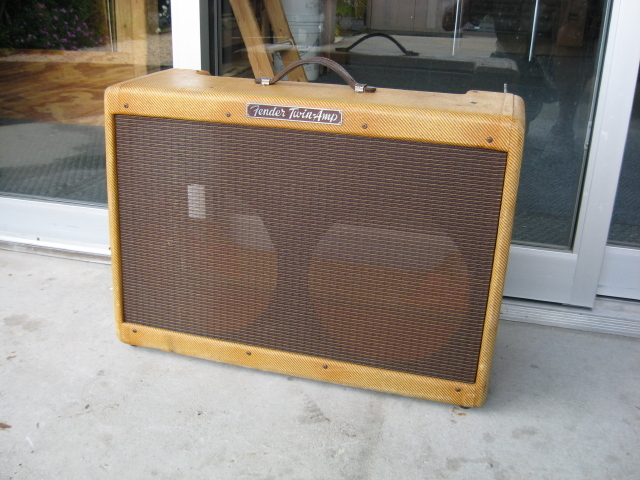 Most tweed amps from the 50’s used either 1/4″ or 5/16″ pine. 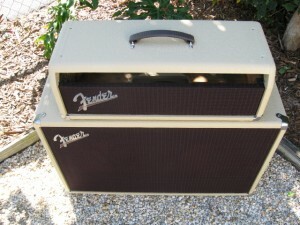 Amps made in the 60’s usually have thicker baffles for a tight cleaner sound. Closed back cabinets seem to sound fine with birch baffles but will be tighter and have a slight edge. 300guitars: What is a floating baffle? Larry Rodgers: A floating baffle is attached at 2 points either top and bottom or side and side.The 1959 Fender Bassman is a good example of a top and bottom floating baffle. The Super Reverb is also a good example of a side to side floating baffle. 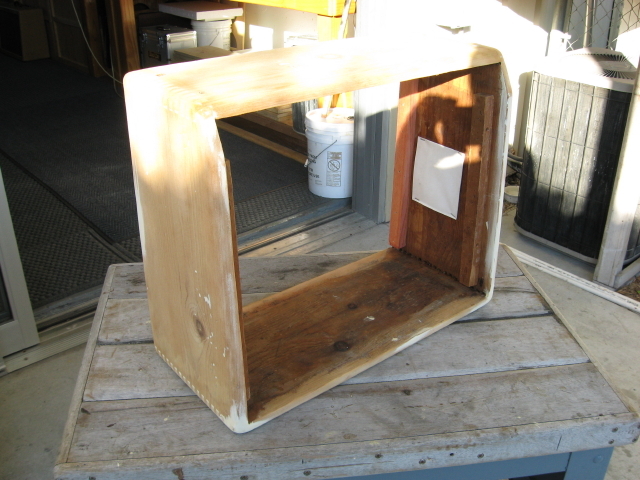 The Bandmaster 2×12″ speaker cabinet does not have a floating baffle. It is attached on all 4 sides to be very rigid and tight. 300guitars: There is a piece of wood that sort of connects the back panel and baffle of a Marshall cabinet. Can you describe it and explain what it does? Larry Rodgers: The piece of wood that connects the baffle to the back panel on a Marshall is designed to allow the baffle and back panel to resonate in phase. Without it phase cancellation would take place. 300guitars: Are there any other cabinets like this? Larry Rodgers: The piggyback Bassmans, Bandmasters and Dual Showmans. 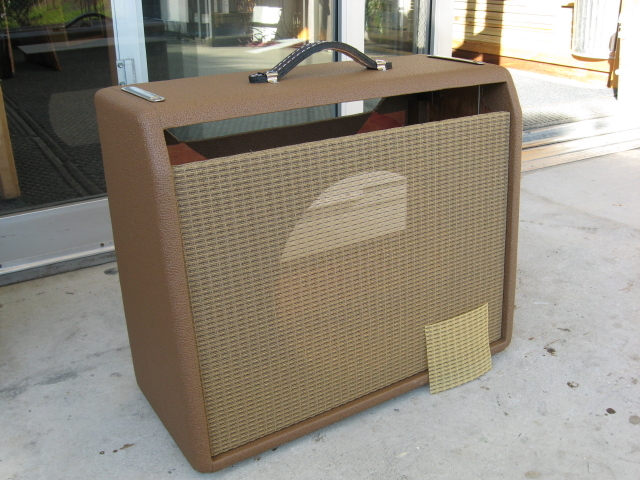 The early 2×12″ blonde Bassmans did not have this device. Fender quickly added this for better performance. 300guitars: What would the cabinet sound like without this piece of wood joining the baffle and the back panel? Larry Rodgers:You would expect a boomy bass with less focus and certain frequency cancellation. 300guitars: Is there a difference between rear mounting the speakers and front mounting them to the baffle? Larry Rodgers: Some company’s front load for added space in small combos (Mesa) others (Ampeg SVT 8×10″) probably front load to be able to build a solid box without a removeable back to lessen vibrations and for ease of changing drivers. 300guitars: Does the type of glue for the joinery have an effect on performance? What type of glue do you use vs what was used on vintage cabinets? Larry Rodgers: Vintage cabinets made in the states used hide glue for the joinery and cleats. Today most cabinet builders would use Titebond type glue. I don’t think there would be much difference in the two. 300guitars: Does covering a cabinet in either tolex or tweed damp the vibration of the cabinet? Larry Rodgers: I feel an uncovered cabinet would resonate more than one that has covering. As to how much of a difference it would make I have yet to determine. 300guitars: What glue do you use to apply the covering? What was used on vintage amps? Does this glue make a difference? Larry Rodgers: I use both hide and the latex adhesives. Different applications require different glues. Vintage Fenders used hide glue and Marshall has always used the latex type of glue or a contact glue of some type. Due to the way a Marshall is constructed and the size, it would be very hard to use hide glue. The glue would probably gel before all corners and make-up points were complete. 300guitars: Is there any truth to the myth about aged wood being better (more stable and better sounding) than newer wood? Larry Rodgers: Yes, old wood that has dried over time will have a much better voice than new wood. I have found this to be especially true on baffle boards that are made from old seasoned plywood. 300guitars: Do you make bare or lightly finished cabinets? Larry Rodgers: I do in some cases when a customer has that request. 300guitars: Did the dimensions of amps produced by manufacturers vary over the years or were they pretty consistent? Larry Rodgers: I have found a fair amount of variation in vintage cabinets. Some cabinets are not square or will vary in width. I feel that today’s cabinet makers are producing tighter tolerances than in the past. 300guitars: Did Fender spray nitrocellulose lacquer on the tweed covered cabinets? Inside too? Larry Rodgers: I don’t think they ever used nitro on tweed it just won’t work. The late Sam Hutton told me that the tweed came from the mill with a clear shellac type of coating. He was unsure exactly what it was. 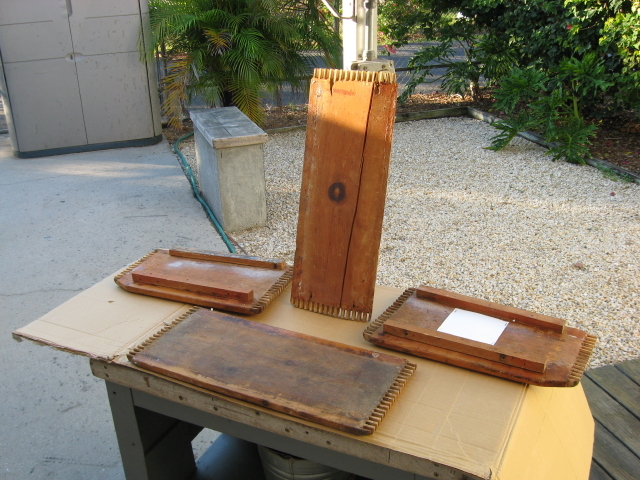 As far as the finish on the inside, dye stains were used to color the bare wood. Amber for the tweeds and dark brown for the blackface series. The closed back Fenders and Marshall’s had no interior finish. 300guitars: About how many different styles of cabinets do you make? Larry Rodgers: I make just about any type of cabinet you may want. Being a small company I am able to tailor fit your cabinet to any chassis or supply any type of covering. 300guitars: What are some of your other interests outside of guitars, amps and music? Larry Rodgers: Living in South West Florida on the Gulf of Mexico, the weather is great all year. I enjoy the fishing, the beaches and all the activities that go with it. I also ride my Trek 24 speed bike every chance I get. 300guitars: What are some of the most memorable moments in your career and/or life? Larry Rodgers: The day my daughter Ashley was born and building amps when I lived in the Carolinas. The Carolinas are a wonderful place to live and work. 300guitars: Do you have any interesting stories about some players you have done work for? Any celebrities perhaps? Larry Rodgers: Not really interesting stories, but have worked for B.B. King, John Mellencamp, Jr. Brown, Lynyrd Skynyrd and Brooks & Dunn among others. The only story that stands out was when Jr. Brown played near my shop when I lived in Charleston SC. One of his Twins went out during his show. He wanted to send his road crew out to have the amp repaired that night at 2 am. I repaired his Twin the next day and they were on their way. 300guitars: What is on the horizon for Rodgers Amplifiers? 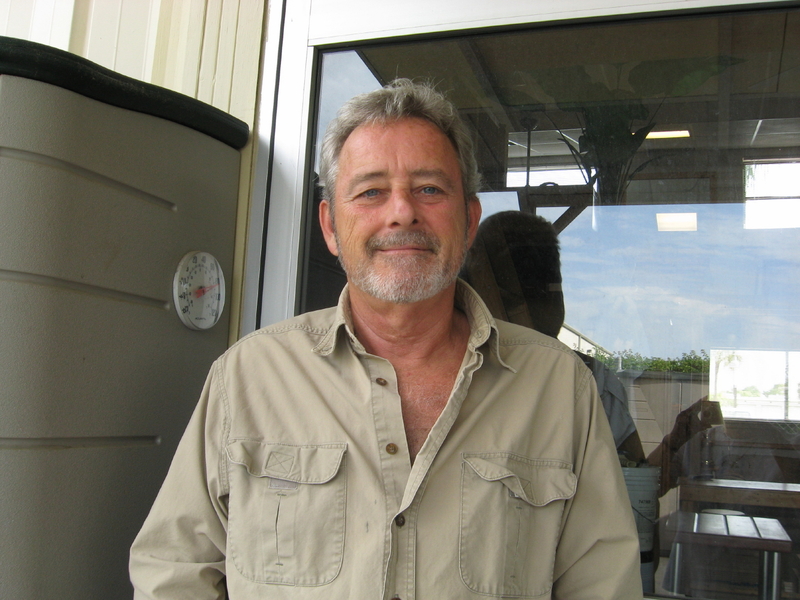 Larry Rodgers: To continue producing quality products and help keep old world craftsmanship alive. 300guitars: Thanks Larry for a great and informative Spotlight!! Larry Rodgers: You’re welcome. Thank you for asking. Guys like you and your website are what keep this business real! To view more of Larry Rodgers’ work visit his website here. Rodgers Contact info LJrodgers@embarqmail.com and Phone 239-649-8799.